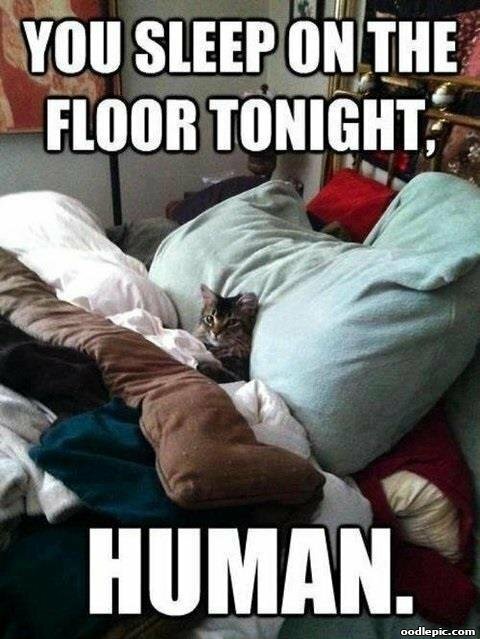 Cat tucked into the middle of the bed: You sleep on the floor tonight, human. 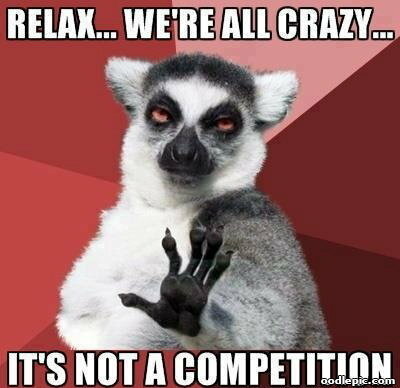 Lemur: Relax... We're all crazy... 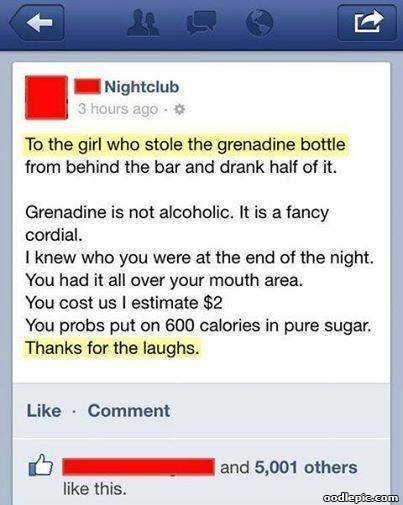 It's not a competition. 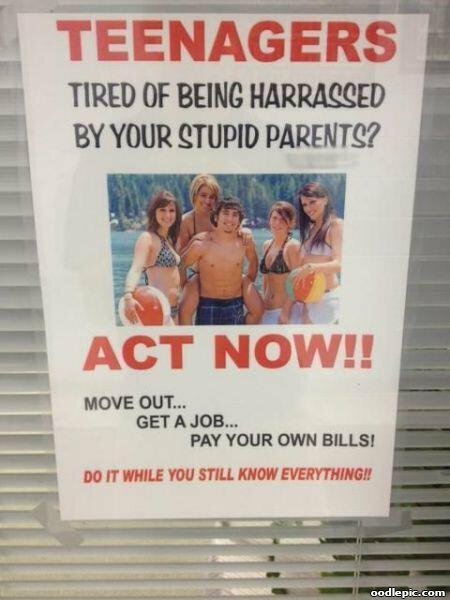 Window posting: Teenagers, tired of being harassed by your stupid parents? Act Now!!! 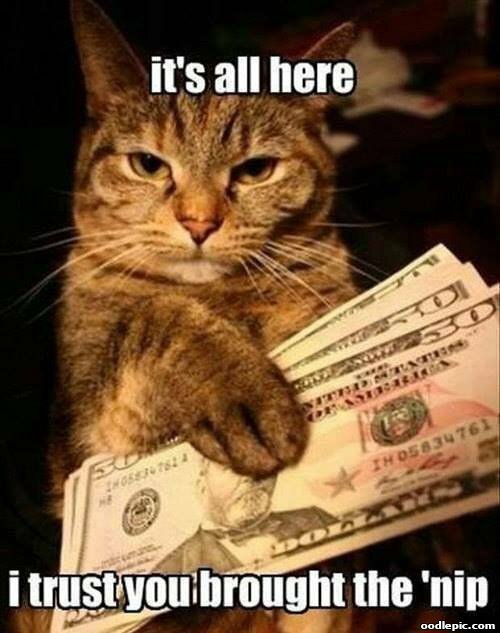 Move out... get a job... pay your own bills! 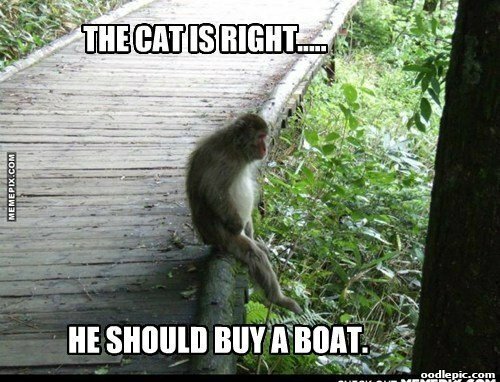 Do it now while you still know everything! 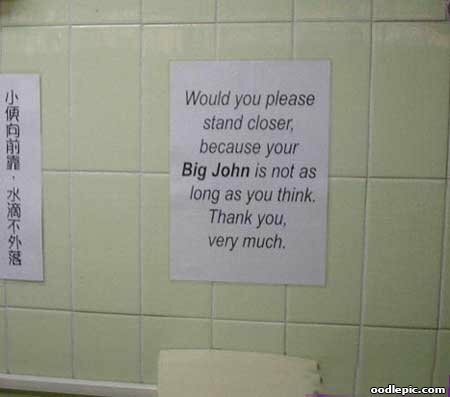 Take heed of these instructions! 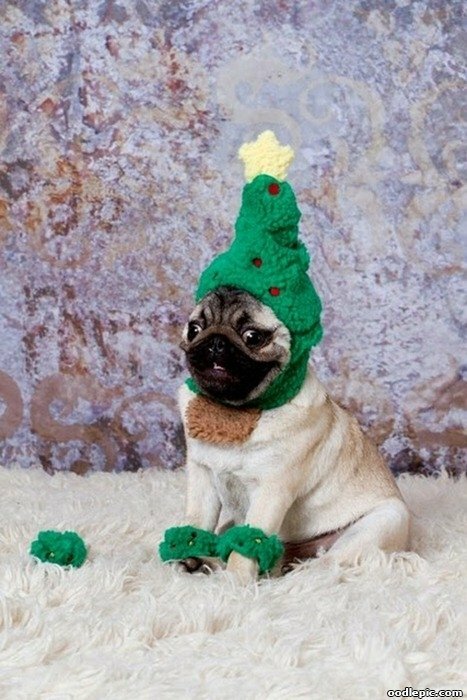 Pug with hat on that looks like a Christmas tree.